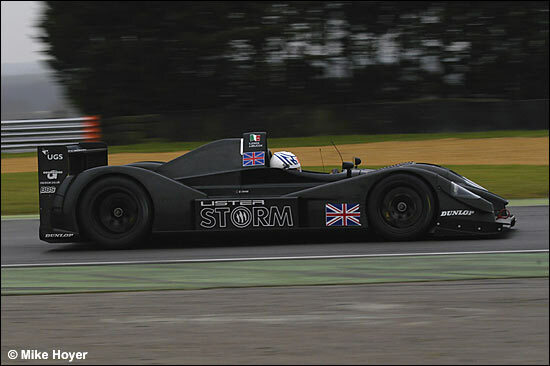 The third version of the Lister Storm hybrid was in action at Snetterton yesterday, February 6, Justin Keen and Jens Moller driving, and Laurence Pearce was very pleased with the outcome - despite the weather. 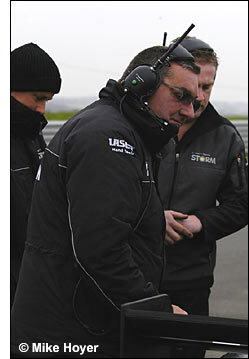 It was bitterly cold and windy, and with insufficient heat in the tyres, ultimate lap times weren’t the objective. Another test is being planned - "deep into Europe, in the middle of March" - before the European season gets underway at the Paul Ricard test days at the end of next month. 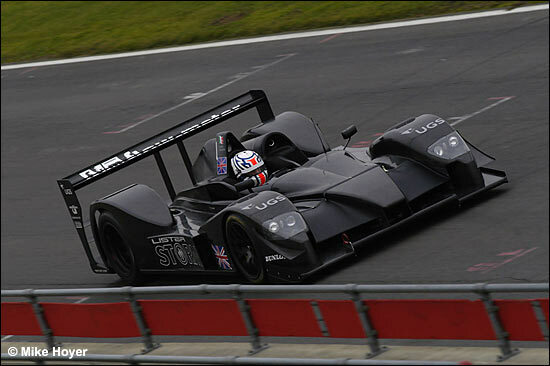 In other Lister news, we know the identities of two of the drivers – for the Le Mans Series and Le Mans itself (subject to an entry being granted). 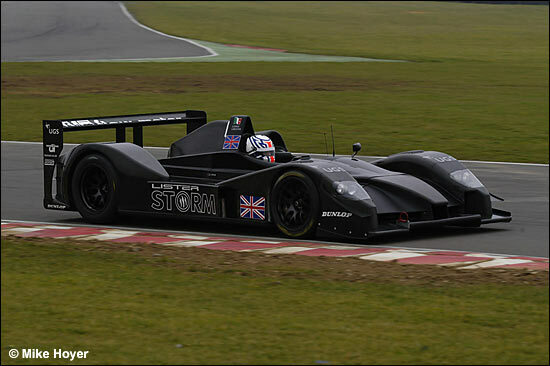 Stefano Zonca and Andrea Belicchi have committed to the project for the whole of 2006 – these two having raced the car at Vallelunga in November. As you’ll see from the photographs, the significant change to the car since then is the repositioning of the radiators, which have been moved further back - but perhaps Laurence Pearce has finished adjusting the location of the rads.? 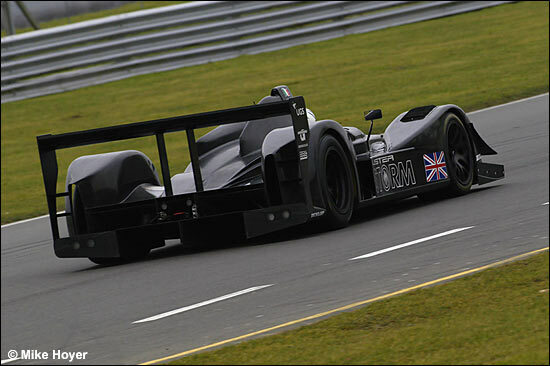 The man is certainly very positive about LMS propsects for this year - and his small team at Wallis Wood in Surrey is still working away at engine developments, so there's more to come from the menacing, black Lister.